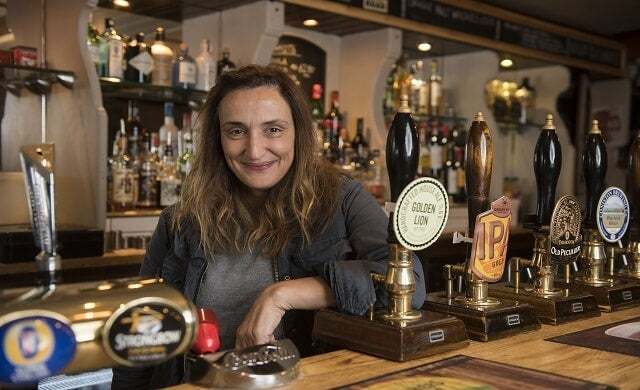 Simone Fellows took over The Golden Lion, Keswick in 2011, looking to give an old pub some love and build a new business revolving around great food and family values. Fellows and her staff worked hard to redevelop and refresh The Golden Lion over the following few years; refurbishing the dated décor, upcycling old furniture, and redesigning the menu. However, with the pub positioned in the centre of the increasingly busy high-street, competition soon appeared in 2014, with two big-brand venues opening nearby. They could offer customers cheaper drinks and different deals, so Fellows’ business had to up its offering to compete, opening three letting rooms upstairs. Struggling to recover from the flood and the increasing competition, Fellows needed to find some additional funding to bridge the gaps in her cashflow. Wanting to avoid borrowing from friends and family, Fellows looked to Worldpay Business Finance after receiving a letter in the post. With them, she could access a better way to get The Golden Lion back on track. Fellows could purchase a new pizza oven which, thanks to its success, paid for itself in just six weeks. The Golden Lion have since continued to build upon their food menu further – which has grown from making up 3% of trade, to 60% over five years – as well as stocking new ales and gins, and even making their own vodka. With this added peace of mind, Fellows has also been able to spend more time and effort developing her second business, a traditional teashop selling baked goods and fresh vegan soups.